Golden Eagles and Diablos helped celebrate the University’s 70th anniversary during special alumni events held throughout the year. 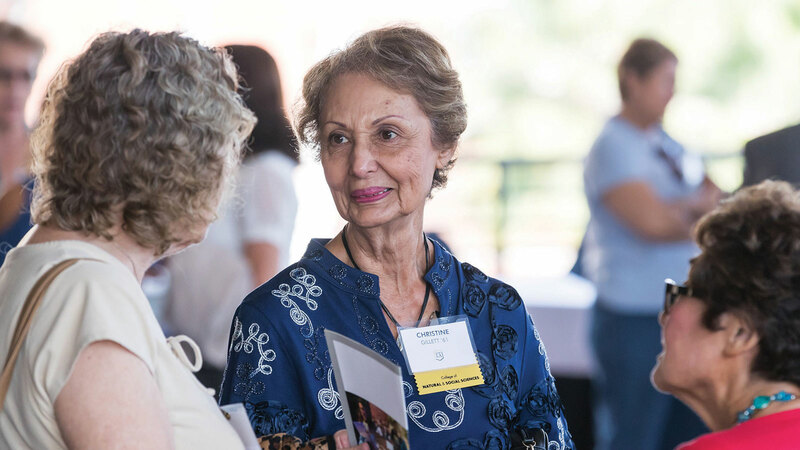 The Cal State LA Alumni Association hosted an All Alumni Reunion on Oct. 28. The event featured campus tours, samples of foods from local alumni-owned businesses, art and academic exhibitions in the Cal State LA Fine Arts Gallery and Luckman Fine Arts Complex, and exciting women’s volleyball and men’s and women’s soccer games. President William A. Covino welcomed back the alumni during a special luncheon and congratulated members of the Class of 1967 and earlier classes on their induction into the Half-Century Club. 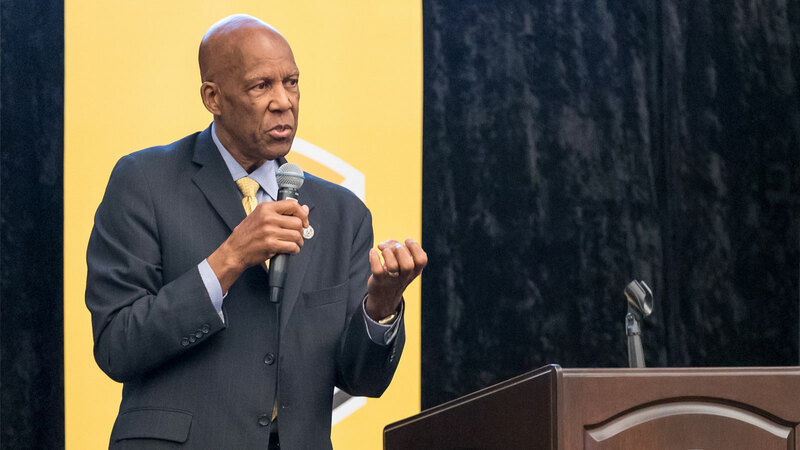 Keynote speaker and Cal State LA alumnus Terrence Roberts ’67 spoke of his experience as a member of the Little Rock Nine, students who desegregated Central High School in Little Rock, Arkansas, in 1957. Roberts credited the University with guiding him on his professional journey and honing his critical-thinking skills. “That’s what Cal State LA is famous for: helping you learn how to learn,” he said. 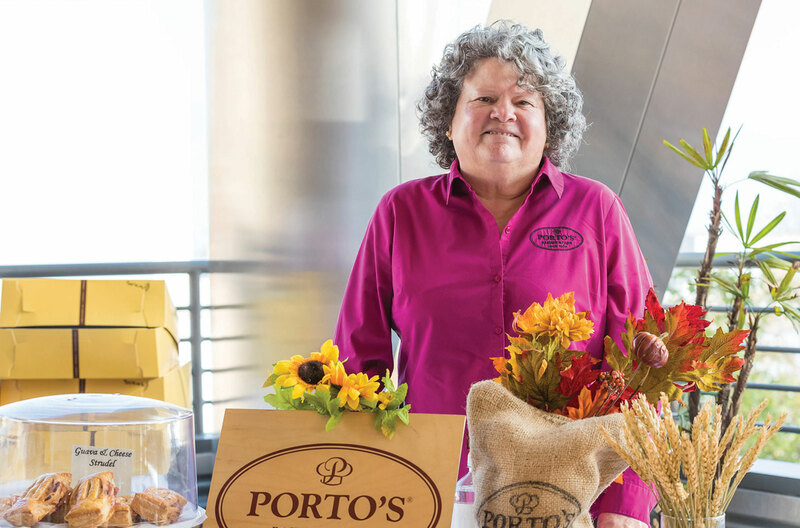 The event included two buffets featuring selections from alumni-owned Porto’s Bakery & Cafe, Gaviña Coffee and Baja Cali Fish & Tacos. Alumni and guests also enjoyed a concert by the Cal State LA Commercial Music Ensemble, directed by faculty member Ross Levinson. As alumni mingled and enjoyed the day, some marveled at how the University had changed. They pointed out new buildings on campus, major construction projects underway and strategic partnerships with community and business organizations. The Alumni Association also provided opportunities to gather for fun and root for the home team. 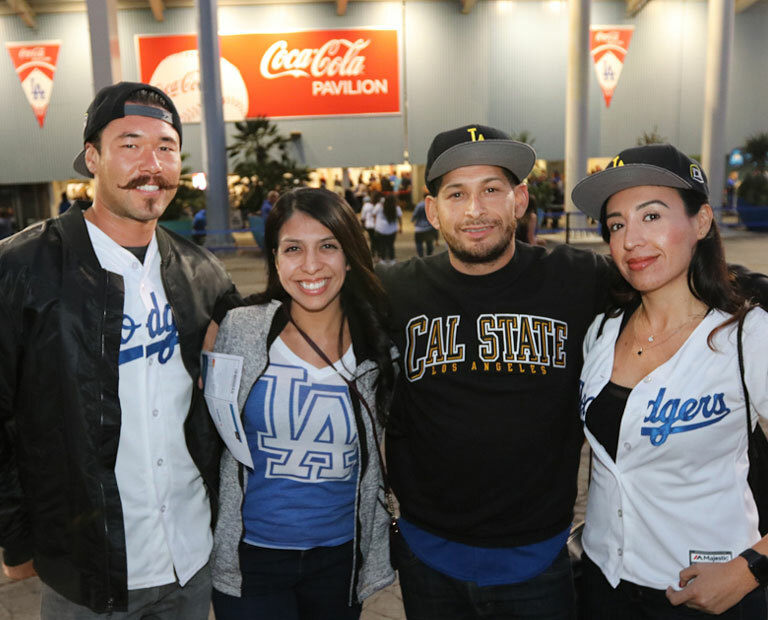 More than 2,000 alumni, students, faculty, staff and supporters packed Dodger Stadium on Sept. 22 for Cal State LA Night. 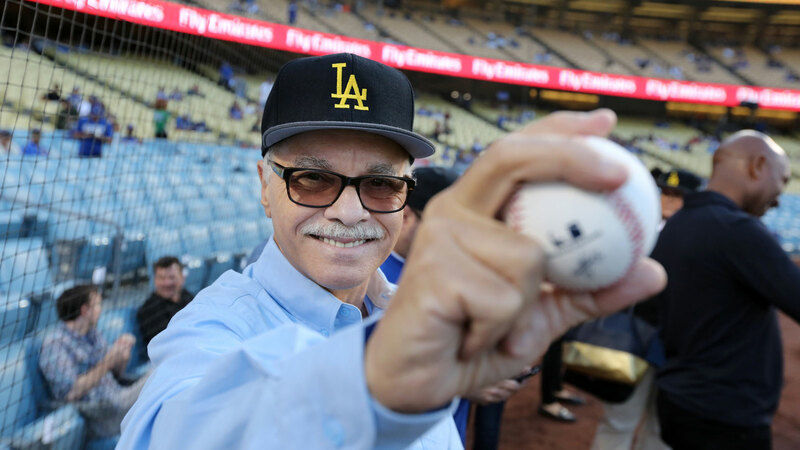 Attendees snagged special edition Dodgers caps in signature Cal State LA gold and black and watched as Covino threw the ceremonial first pitch. The Boys in Blue went on to best the San Francisco Giants 4-2, clinching the National League West championship for the fifth straight season. 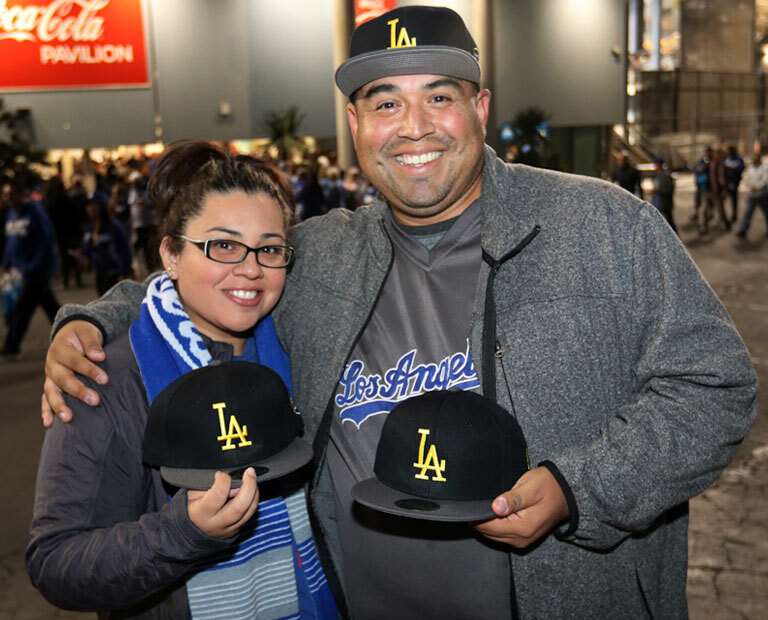 It was the kick-start to the Dodgers’ exciting run to the World Series, where they eventually lost a hard-fought series to the Houston Astros in seven games. The Cal State LA Fine Arts Gallery was transformed during the month of September for the “Legacies” exhibition, celebrating acclaimed alumni who have made lasting contributions to the world of art. The exhibit was conceived and curated by renowned artist and Cal State LA alumnus Mark Steven Greenfield. More than 300 guests gathered for the Sept. 9 opening, admiring a wide range of work from different genres dating back 70 years. Greenfield said “Legacies” was a testament to the exceptional talent that has emerged from the Cal State LA Department of Art. “What I want to do is really focus attention on that,” he told guests at the opening. The exhibition, which was on display through Sept. 30, featured works by distinguished artists Linda Arreola, Joan Carl, Kim Dingle, Daniel Douke, Kathi Flood, Calista Lyon, Kaz Oshiro, John Thomas Riddle Jr., Frank Romero, Ben Sakoguchi, Norman Schwab, Kent Twitchell, Lisa Diane Wedgeworth, La Monte Westmoreland, and Greenfield. “These are all artists I wanted to show with for a long time,” said Greenfield, whose art teacher in high school was Riddle. A highlight of “Legacies” was Riddle’s collection of ammunition boxes created during the height of the Vietnam War. 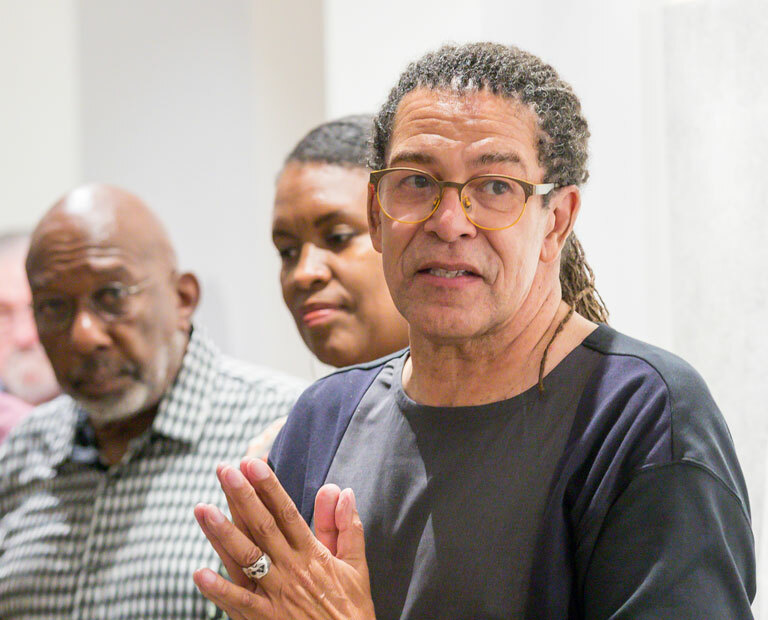 This installation has rarely been shown in its entirety and was made possible through the generous cooperation of the California African American Museum. 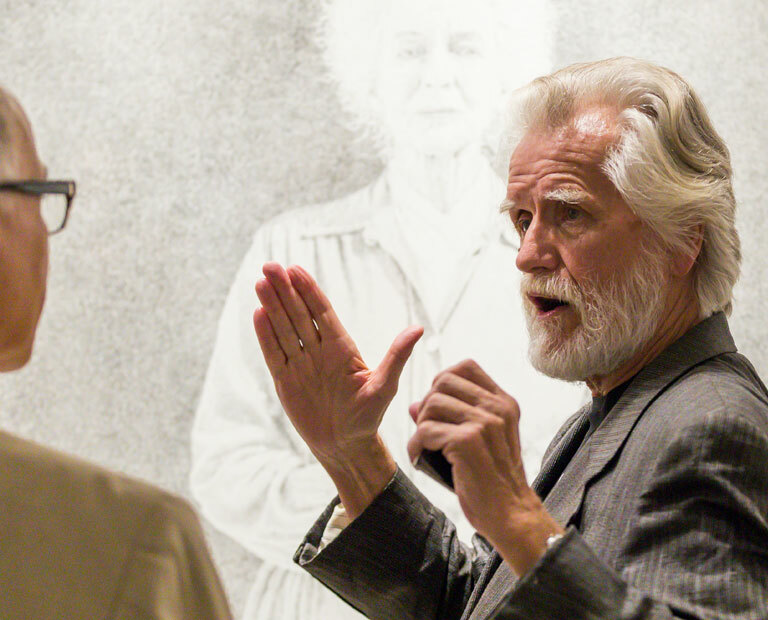 As he stood next to his pencil-on-board sketches of Sammy Davis Jr. and Steve McQueen, Twitchell expressed his appreciation for the education he received at Cal State LA and the opportunity to have his art displayed. “I am just humbly honored to be part of this exhibit and have my work shown with these incredible artists,” Twitchell said.